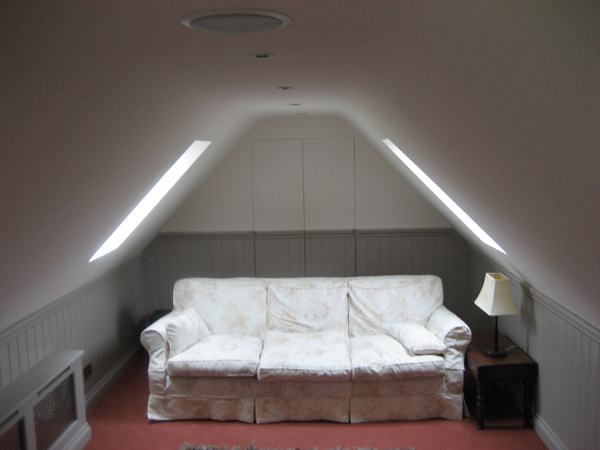 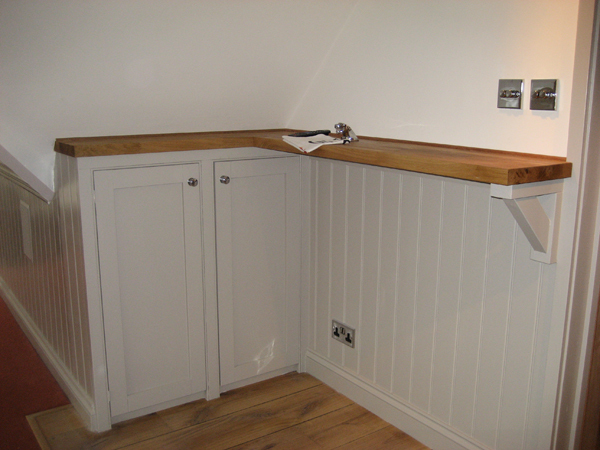 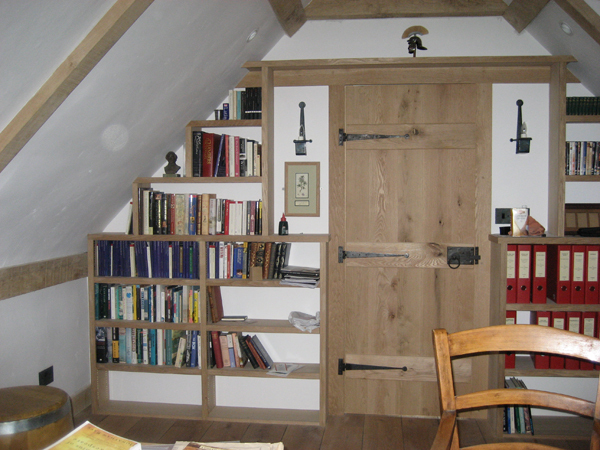 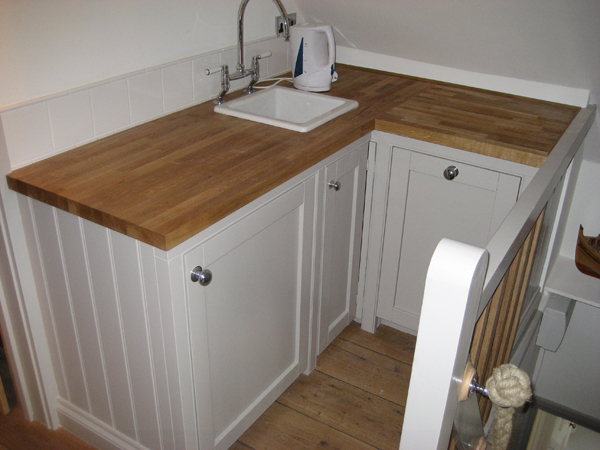 The project involved the conversion of an existing loft space within a Tunbridge Wells (Kent) house built in 1910. 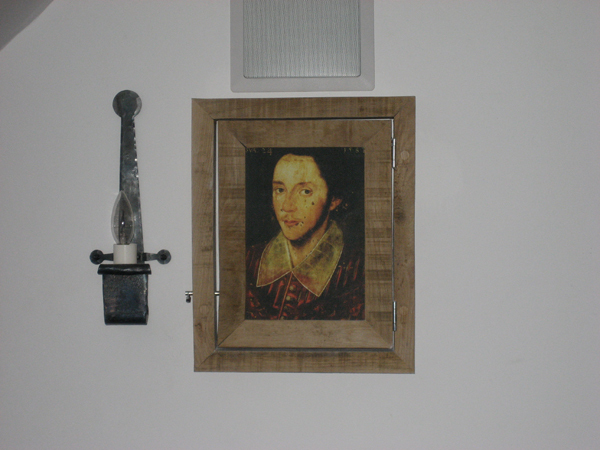 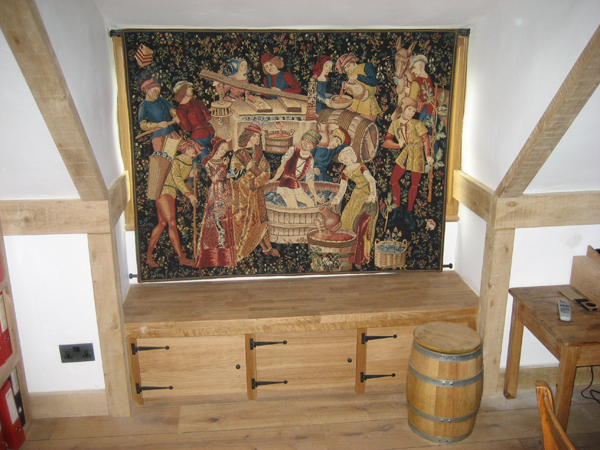 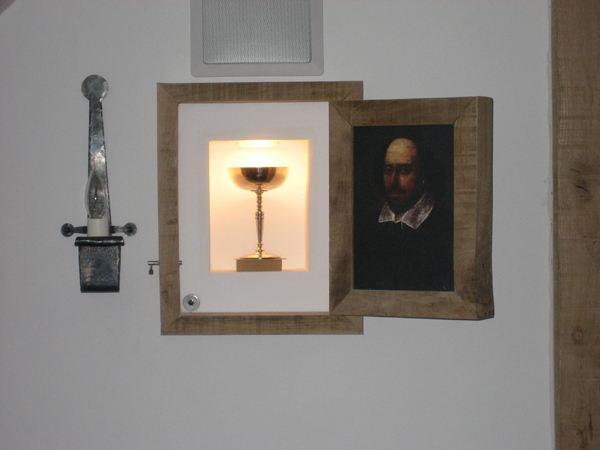 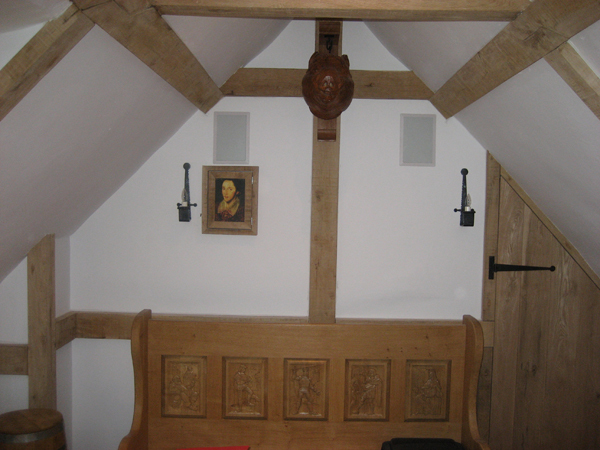 We formed four main areas, comprising of a lounge, a kitchen area, a shower room and an Elizabethan tavern. 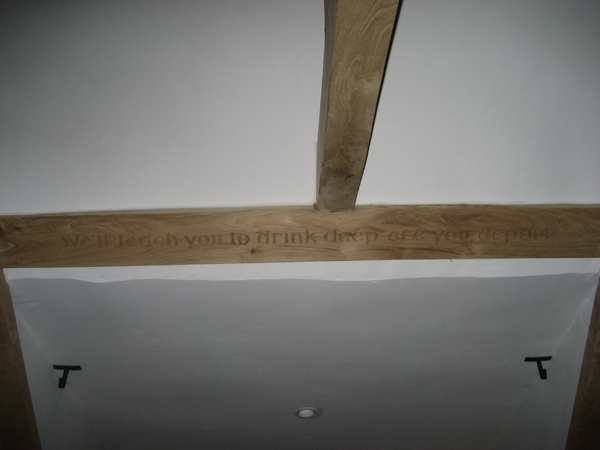 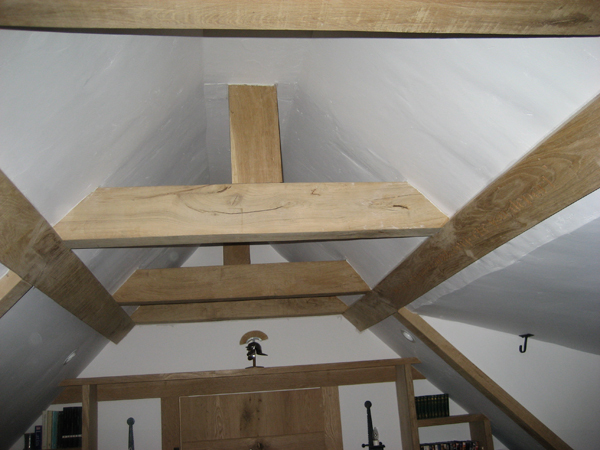 Yes, you did read that correctly - we installed large oak sections to form roof support as well as forming a space that has the ambiance of a tavern from the 17th century. 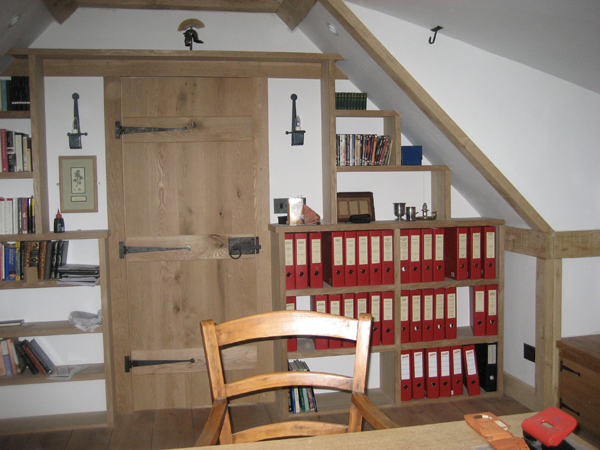 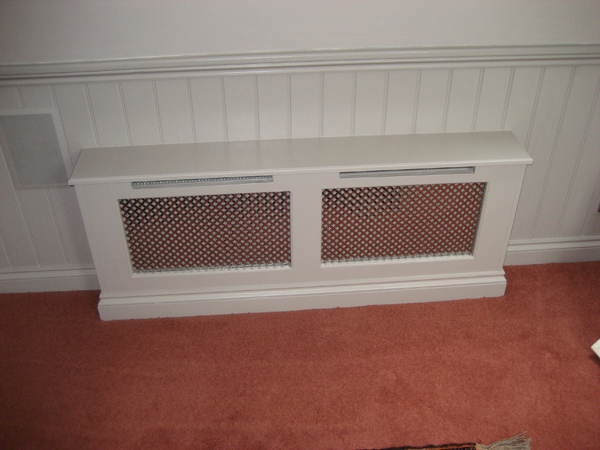 Our client had a vision and we turned his ideas and designs into a reality. 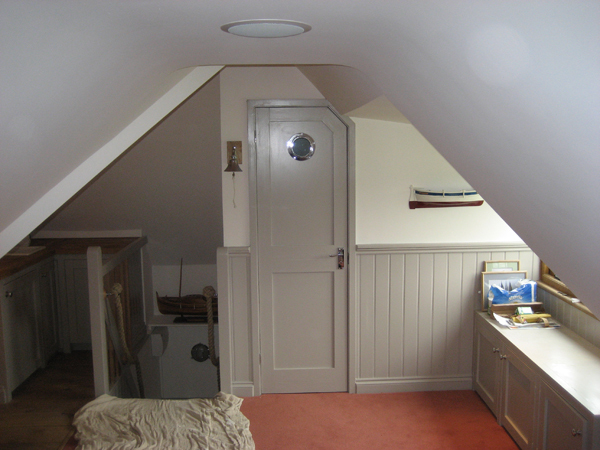 The lounge area has the feeling of an 18th century clipper with a shower room decorated with maps from the 18th century. 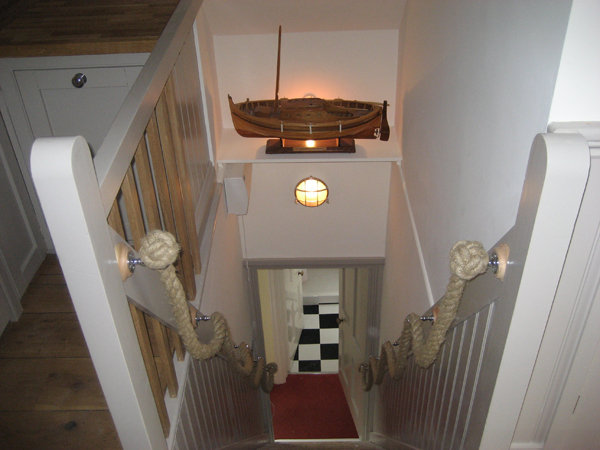 The stair case with its rope hand rails helped to create a nautical feel.